Irina Paliashvili Dr. Irina Paliashvili began her private practice by co-founding one of the first private law firms in Ukraine, and expanded by founding the Washington-based RULG-Ukrainian Legal Group, P.A., where she serves as the President and Senior Counsel. She also serves as the Managing Partner of the Kyiv-based Ukrainian Legal Group LLC. Before going into private practice, she served as General Counsel (International) to two major companies in Ukraine. During that time, Irina completed a six-month assignment with a prominent Chicago law firm as a part of the ABA Internship Program followed by a four-month assignment working with a leading German law firm in Frankfurt. She has also served as a Professor of Law at the Kyiv State University Law School. Irina graduated with highest honors from the Kyiv State University School of International Law and earned a Ph.D. in Private International Law from the same school. She also holds an LL.M. in International and Comparative Law from George Washington University. She is licensed to practice Ukrainian law as a Special Legal Consultant in the District of Columbia and is a member of the Kyiv Bar. Irina frequently speaks at international conferences and publishes on the legal and business climates in Ukraine and other countries of the ECA (Europe-Caucuses-Asia) economic region. She serves as the Chair of the Legal Committee of the U.S.-Ukraine Business Council, for which she leads the on-going pro-bono project on the White Paper on Legal and Governance Reform in Ukraine. Irina is a Co-Chair of the International Bar Association's (IBA) Senior Lawyers Committee, member of the Advisory Board of Best Lawyers® and member of the ICC Commission on Arbitration and ADR. She is the founder of the ECA (Europe-Caucuses-Asia) Legal Forum, which in 10 years has become the main platform in the ECA region for the wide-scale gathering of leading business lawyers, and at present is held under the auspices of IBA. She is regularly included in the Hundred Best Lawyers of Ukraine (Clients' Choice) and in the list of most successful and well-known women lawyers in Ukraine based on the surveys conducted by Yurydychna Gazeta, a leading legal publication in Ukraine. She is also regularly included in the top 10 best lawyers in Ukraine, as well as named "Lawyer of the Year" in several practice areas (Antitrust, Arbitration and Mediation, Corporate, Energy and Natural Resources Law and Mergers and Acquisitions) by Best Lawyers®, which is regarded as the definitive guide to legal excellence in the U.S. and around the world. In addition to general corporate and transactional expertise, Irina has special experience in the areas of energy, oil and gas, intellectual property protection and antimonopoly law, as well as commercial dispute resolution and mediation. 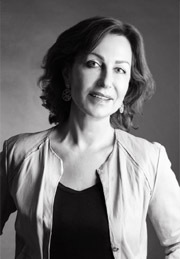 Irina is a mediator trained and certified by the CPR Institute for Dispute Resolution in New York and a member of its International Panel of Distinguished Neutrals, as well as a member of the Energy Community Dispute and Negotiation Centre Panel of Mediators in Vienna. She has extensive experience in providing independent expert witness reports and testimony on the matters of Ukrainian law in international arbitrations and in the US, UK and Swedish courts proceedings, including all formats of oral testimony: direct examination, cross-examination, expert conferences, court depositions and court testimonies. Irina is included in the arbitrators panels of the Riga International Commercial Arbitration Court (RICAC) in Riga, the International Arbitral Centre of the Austrian Federal Economic Chamber (VIAC) in Vienna, Georgian International Arbitration Centre (GIAC) in Tbilisi and Lewiatan Court of Arbitration in Warsaw. Irina is fluent in English, Ukrainian, Russian, Georgian, and Spanish. She divides her working time between Washington and Kyiv.